Fly-in fishing is a great opportunity to get out and enjoy some of the most beautiful fishing you can ever imagine. 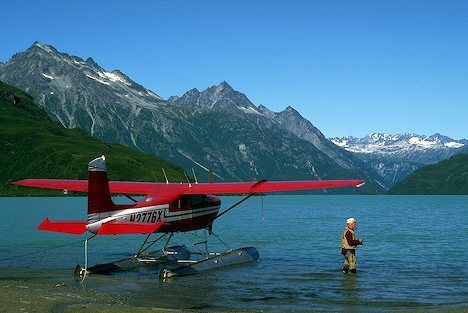 Alaska is home of the largest number of private pilots in the world! The reason there are so many pilots, is that some of the best fishing and most scenic backdrops are accessible only by plane On most of our trips clients see multiple bears and enjoy a great glacier flight along with fantastic fishing! !